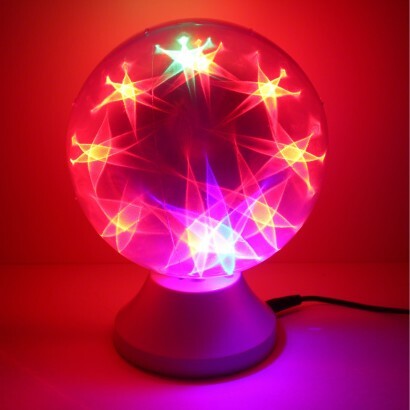 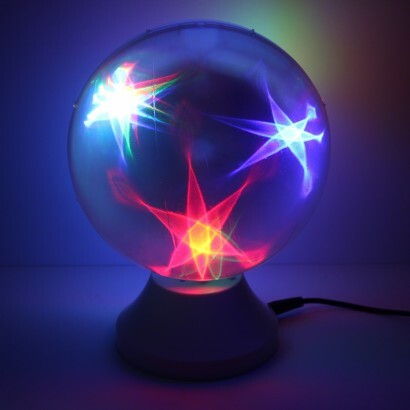 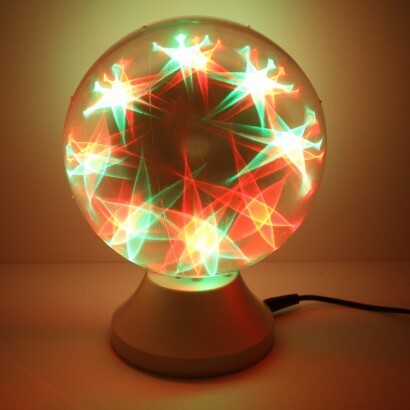 A spectacular colourful star light effect, this desktop spinning star light fills your space with vibrant colour! 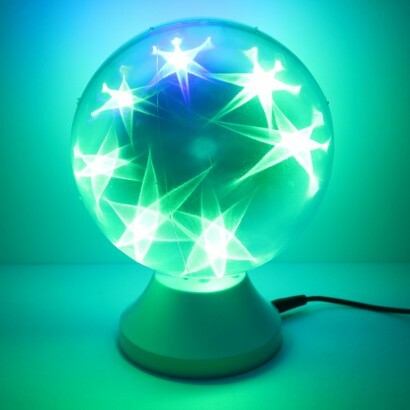 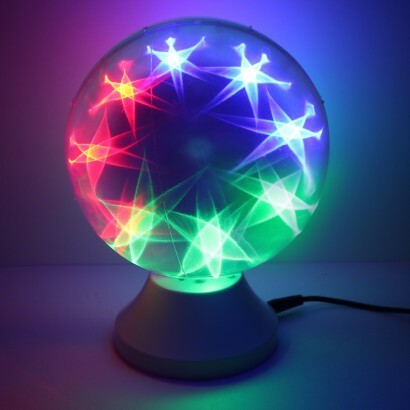 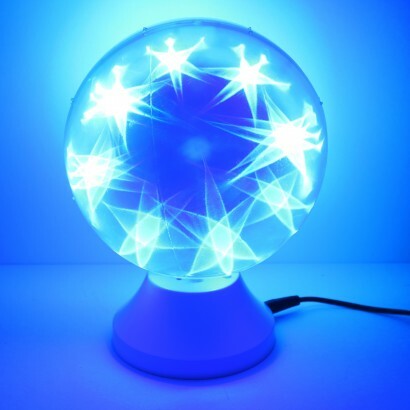 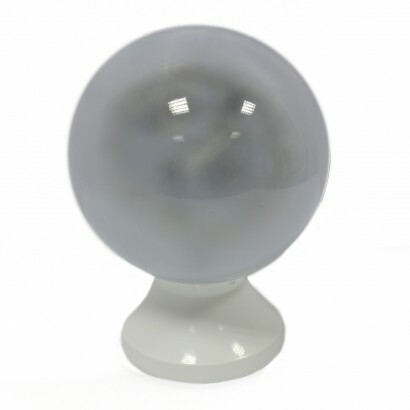 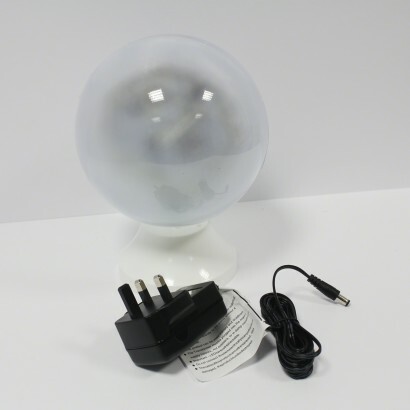 A whopping 48 red, green and blue LEDs shine from within this pretty ball that has a holographic inner skin that distorts the light from the LEDs into stunning stars. 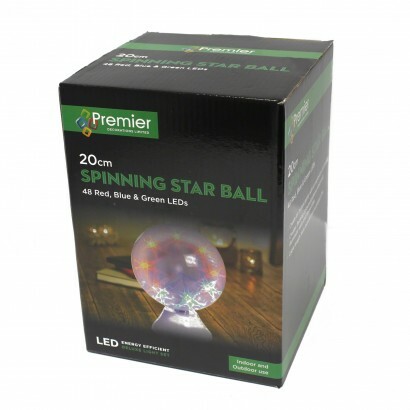 Spinning through a range of stunning effects, this pretty star light erupts into an explosion of colour that's ideal for Christmas or all year round. 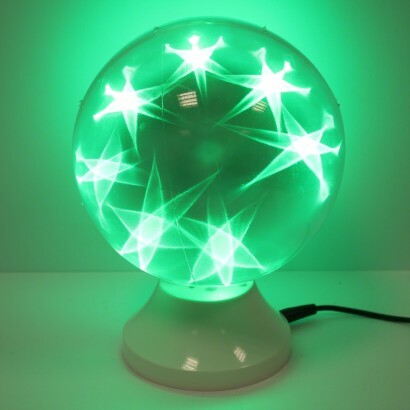 Suitable for use indoors or outdoors, this stunning lamp is mains operated adding instant atmosphere to your home or garden.